After a very successful launch from the LEDJ Alu Par Series, LEDJ are proud to introduce the Alu Par Compact 3000k into the vastly growing Series. The Alu Par Compact 3000k From LEDJ features 7 x 3W Mega Bright LEDS (3000k) that are contained in a small but yet very robust aluminium housing. Featuring 2 DMX channels, the Alu Par Compact 3000k can be dimmed from 0-100% and if needed strobe from slow to fast can be added to the light display or show. With 3-pin XLR in/out sockets it can be linked together in multiples to create some outstanding arrays to bring any sort of display to life. With a very low power consumption and a easy to use 4 push button display on the rear of the unit, the Alu Par Compact 3000k is ideally suited for shop or window displays, bars and small events. A filter frame holder is included and allows the user to choose from a vast range of coloured filters (sold separately) to add some spectacular colours to suit the required mood. 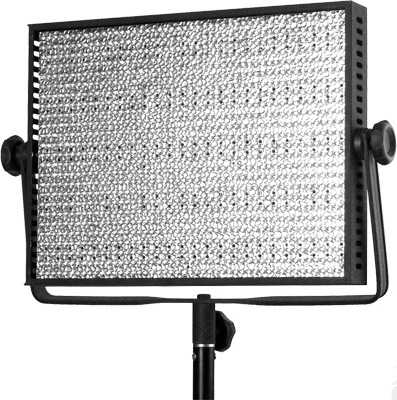 The LED-600 uses 600 ultra bright 5400k LEDs and has the equivalent output of an 860 watt tungsten light, but draws just 36 watts. The unit also comes complete with a V-Mount battery plate and 12v AC adapter. This allows the LED-600 to be mains powered or to run for hours on industry V-Mount batteries. The LED-900 uses 900 ultra bright 5400k LEDs and has the equivalent output of an 1290 watt tungsten light, but draws just 54 watts. The unit is designed with studio work in mind, its modular design allows multiple panels to be combined to form larger panel arrays. The unit also comes complete with a V-Mount battery plate and 12v AC adapter. This allows the LED-900 to be mains powered or to run for hours on industry V-Mount batteries. 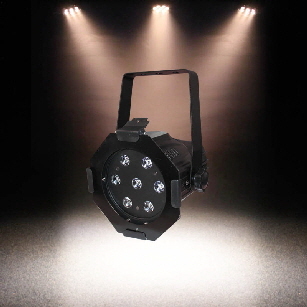 LED-900 with built in DMX control. The unit retains built in manual dimmer control, but optional wired or wireless remote control are not availalbe for this model. 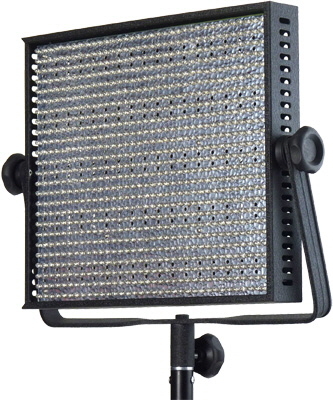 The LED-1200 is a mains only LED light designed for studio work. 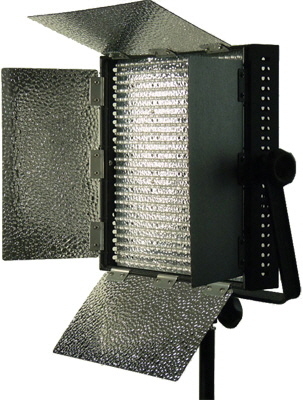 The unit uses 1200 ultra bright 5400K LEDs and has the equivalent output of 1720 watt tungsten light. The LED-1200 modular design allows multiple panels to be combined to form larger panels or walls of light. LED-1200 with built in DMX control. The unit retains built in manual dimmer control, but optional wired or wireless remote control are not available for this model.